Emily Levy talks about how the provider and the recipient of healthcare need to come together to form a partnership that focuses on doctor-patient-communication. If you have ever felt that a doctor wasn’t able to give you the full attention your condition deserves, you aren’t alone. Doctor-patient communication is a common problem. I’m not the type to call out people, but I’ve found that it’s important to speak up and let my doctor know what I really think. The intent isn’t to be rude or to offend, but to ensure that the doctors have all the information they need to treat me. I’d like to give a few quick tips to help you get comfortable with speaking to your doctor or healthcare provider about the important details of your health. I hope this helps you in getting the best treatment possible. Doctors are amazing people. They can save lives and ease pain and suffering. But when we think like that, we are putting them on a pedestal, and it’s easy to start thinking they know better than anyone when it comes medical concerns. But there is one thing that you know better than they do: your own body. You’ve lived with your body all your life, and chances are you know better what’s going on with your body. You can literally feel it. If your doctor is saying one thing that is directly contradictory to what you feel, don’t hesitate to share the information. It’s better to share too much than to share too little when it comes to making a diagnosis. 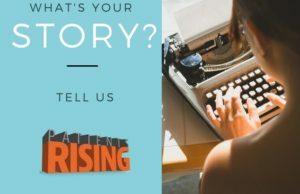 Share any detail that comes to mind. It may, or it may not be relevant, but the only way you’ll know is if you tell your doctor. Trust your instincts and listen to what your body is telling you. You know your body better than anyone else. If you are having trouble speaking up and find yourself being led by the doctor’s questions, a good tip is to bring a friend or family member who is familiar with your condition and can speak up for you. I feel more confident during a consultation when I’m with my aunt because I know she’ll look out for my best interests and speak out when the need arises. The doctor won’t always have access to your records, especially if you were working with a doctor in a different network. It’s a good idea to have a physical copy of your records with you. There is a lot a doctor can tell just from a cursory reading of your history and that helps a lot in treatment. I keep a folder with all of my medical records, so if a new doctor needs to know something about my history, all he needs to do is ask. This saves on time and also helps the accuracy of the diagnosis and treatment. It’s a must for any consultation! Along with your records, you should also have your full list of medications. You can have them printed out or, if you’re the type that uses technology, or if your meds change a lot, in an app. Doctors can make more informed treatment plans when they know what you’re already taking, and it also helps them avoid contraindications (drugs that affect how other drugs work). We’re frequent visitors of the healthcare system, so we’ve picked up a thing or two about how things are done. What’s especially important are sterilization guidelines, which protect us from infections and complications. They aren’t difficult, in fact, they are very simple and straightforward, but unless there is absolute consistency, there’s a higher risk of infection. As a patient with a PICC line, that’s of particular concern to me. And lastly, remember that you are the customer here. And like any customer in any industry, you have the right to demand the best service possible. You are not beholden to any healthcare provider. If you feel your needs aren’t being met, you have the right to take your business somewhere else. It’s always empowering when you remember your position, so keep this in mind when you feel you aren’t getting the proper attention and treatment you need. 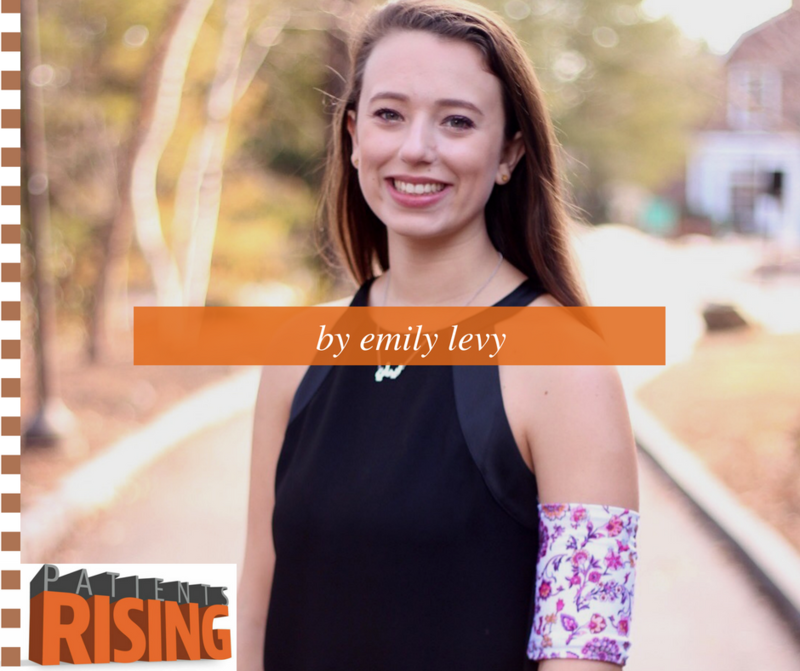 Emily Levy is the Co-founder and CEO at Mighty Well – a company that is positively transforming the patient and caregiver experience and helping patients maintain their dignity and confidence through innovative products and a connection to a digitally-driven community. She started the company after being diagnosed with Chronic Lyme Disease. 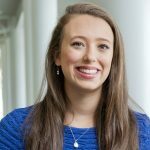 Emily is a seasoned speaker on youth and female entrepreneurship. She also raises Lyme Disease and Invisible Disability Awareness in her free time. You can learn more about Emily’s mission to turn sickness into strength by joining her Friend in the Fight Facebook group.